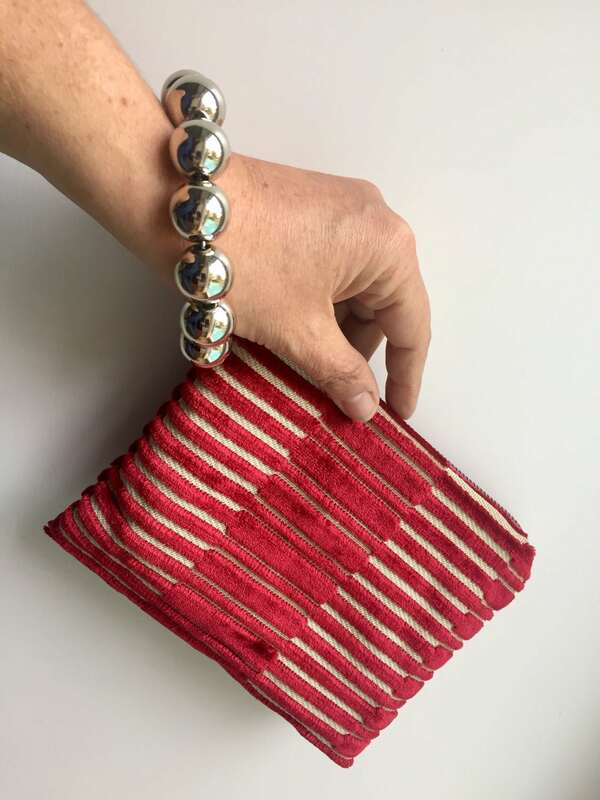 Red zipper pouch, bracelet handle handbag, modern pattern. 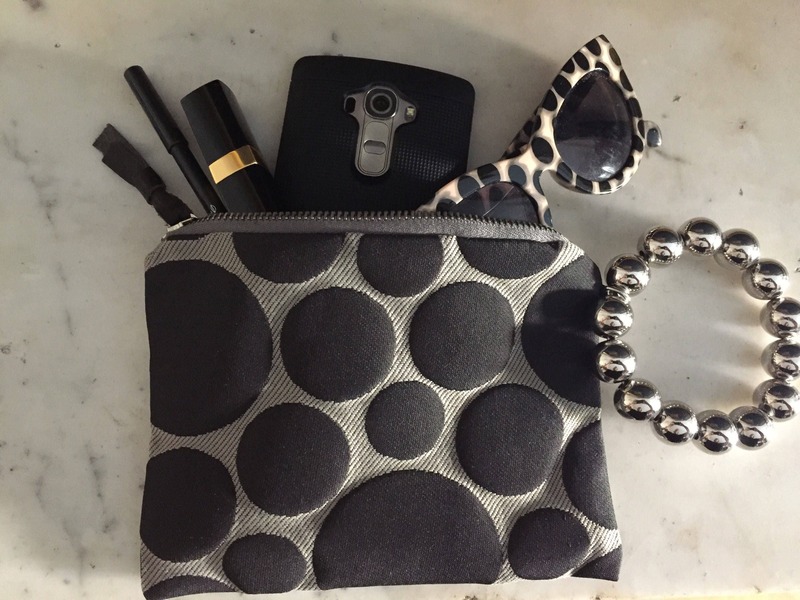 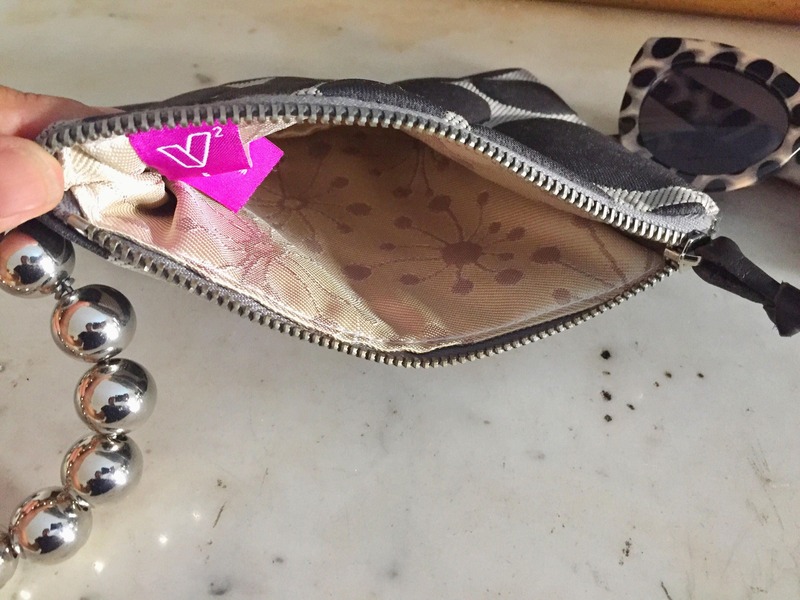 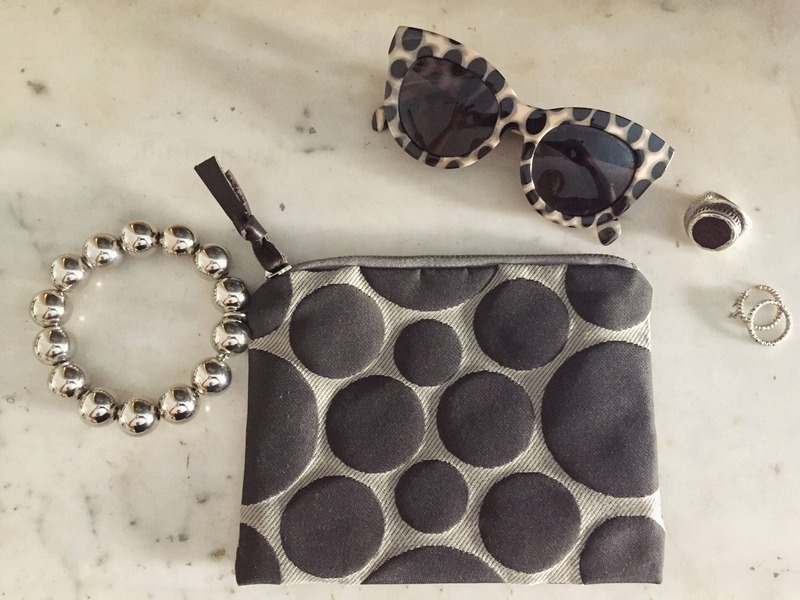 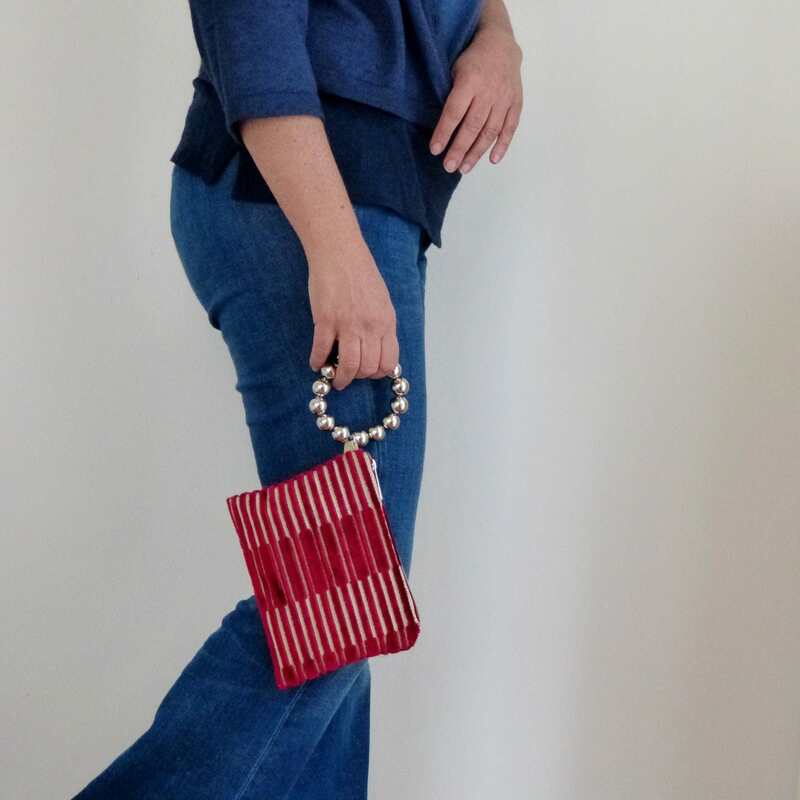 clutch purse with ring handle, hands free bracelet clucth, clutch bag with ring handle. 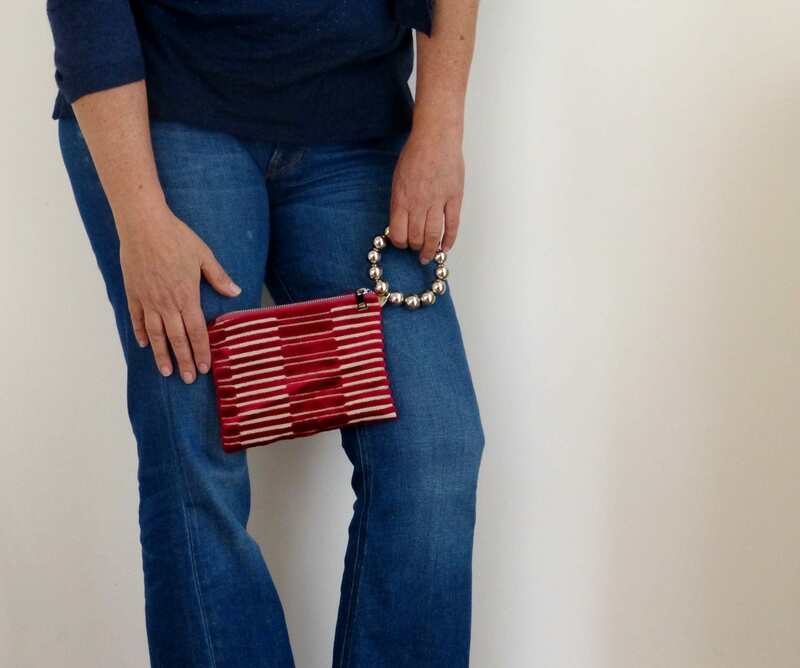 Featuring handmade fabric wristlet style purse in cerry red modern stripes pattern on a beige background. 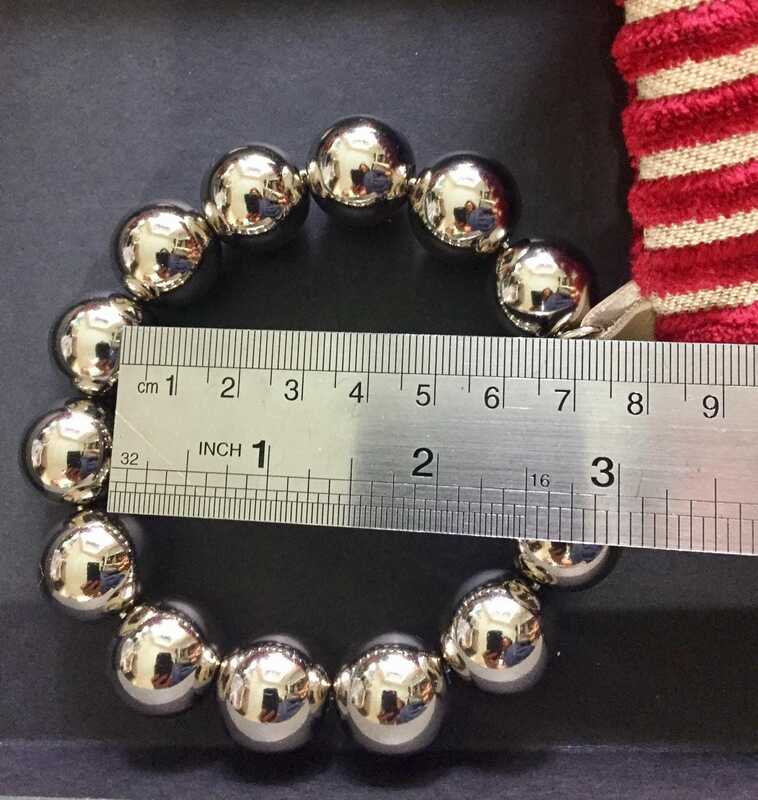 The bracelet is made with resin beads silver color. 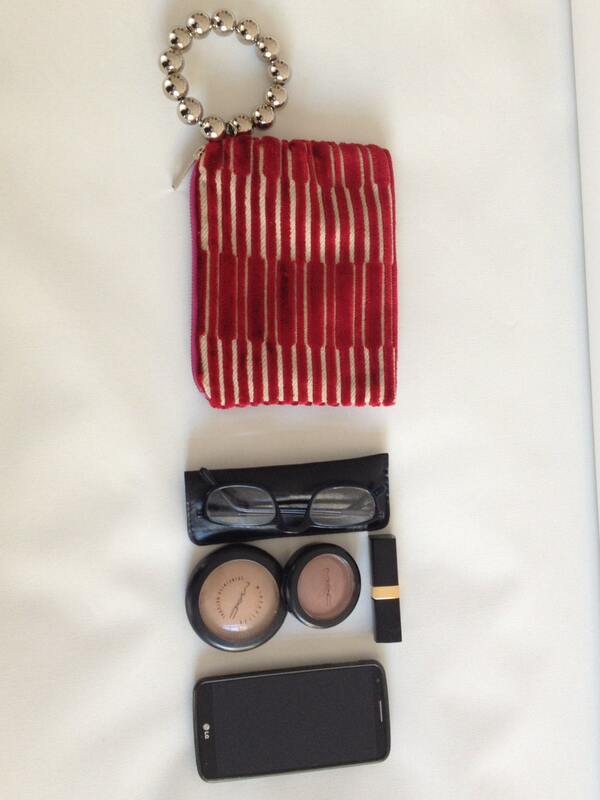 - pouch: beige and cerry red.